Shop at the Book Fair. Enjoy a family reading room. 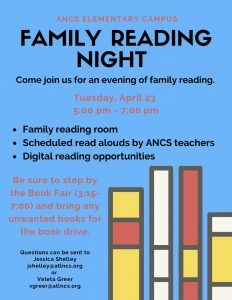 Listen to a read aloud by ANCS teachers. Explore digital reading.